After a little month-long break, Beck continues his lengthy Odelay tour, hitting up an obscene amount of festivals around the world. He resumes at Glastonbury, one of the biggest and more famous around. 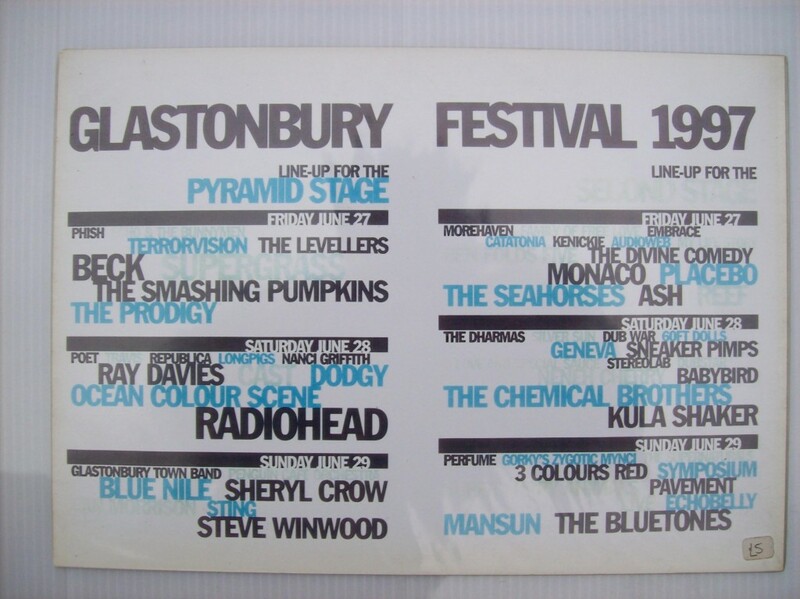 Glastonbury '97 was notorious for the mud, after torrential rain wrecked the fields just prior to the festival. Beck played the Pyramid Stage on Friday. I don't think this is a complete setlist.